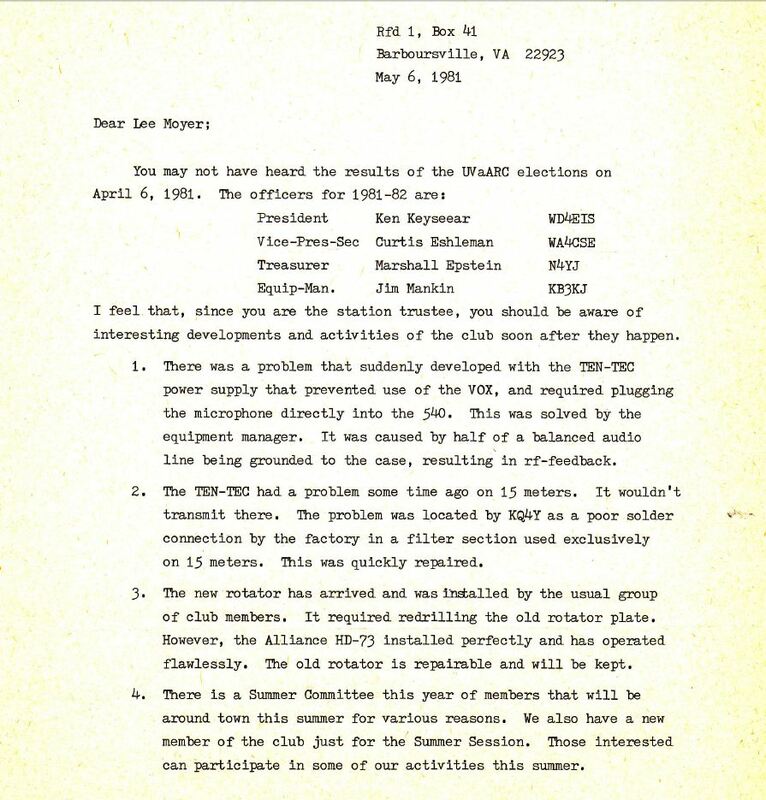 The following is a letter from newly-elected club president, Ken Keyseear, to club trustee Lee Moyer, on club status in spring 1981, right after elections were held. This is just before the club station was about to get evicted from the farmhouse location to make room for the new UVa apartment construction. 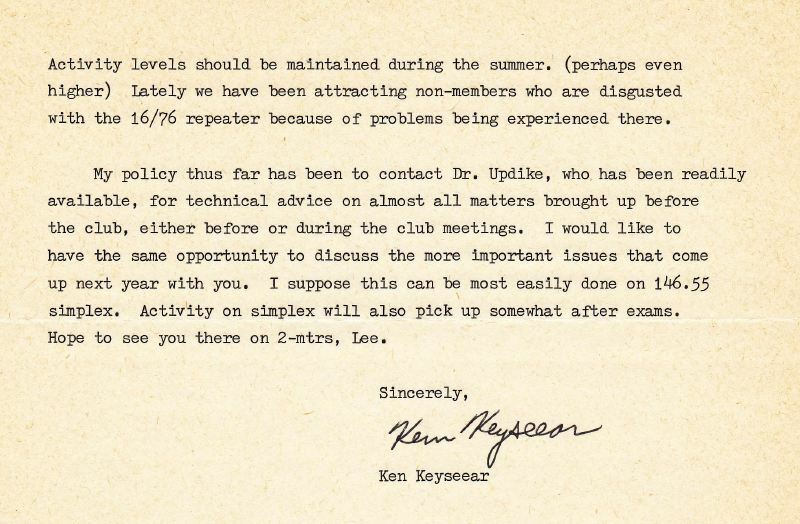 This was obviously pre-internet, and home PCs were just starting to appear, so letters such as this were usually done by typewriter and not as often as our easily-crafted emails today. 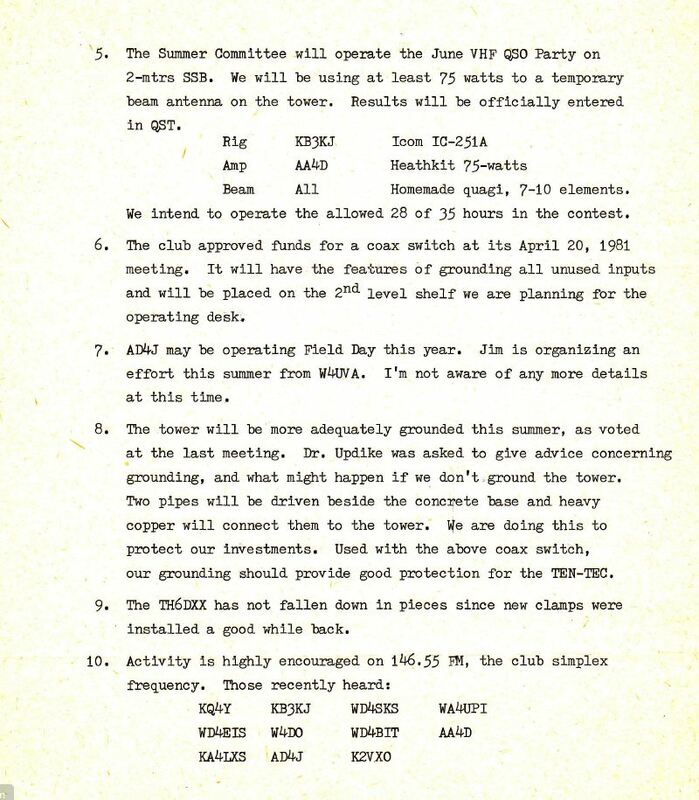 It is also evident that the club was highly active during this time, participating in Field Day, VHF sprints, and equipment repair and improvements, even during the summer months. 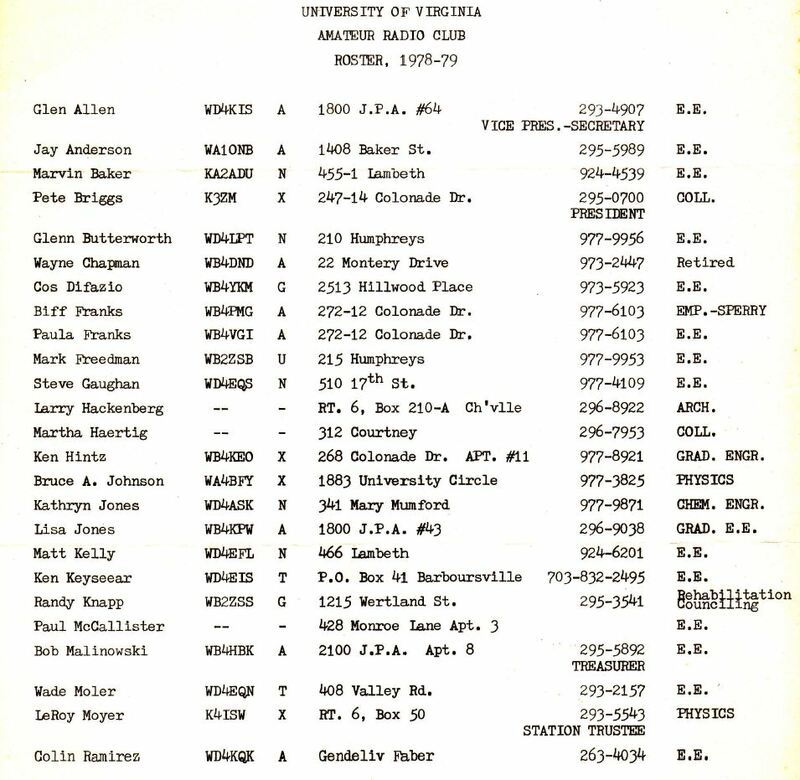 Here’s a club roster from 1978, at one of the heights of activity of the UVa ham club. Note the membership number: 35! 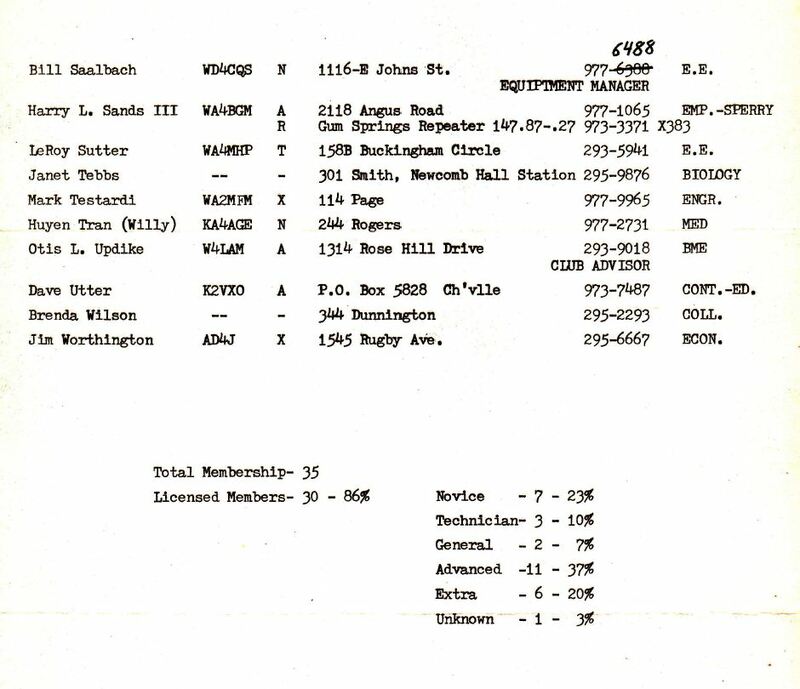 It’s also interesting to see that not all the members were from the EE department, and not all appear to be affiliated with UVa.